Juelz Santana (born LaRon Louis James on February 18, 1982) is a half African American and half Dominican rapper from Harlem, New York, who first became known for his "featured" status on Cam'ron's 2002 hits, "Oh Boy" and "Hey Ma". Santana began writing rhymes at the age of 12. He was originally signed to Priority Records as one half a duo called Draft Pick. The group had several shows around New York City while together, including Amateur Night at the Apollo Theatre, where they won two weeks in a row. Santana began writing rhymes at the age of 12. He was originally signed to Priority Records as one half a duo called Draft Pick. The group had several shows around New York City while together, including Amateur Night at the Apollo Theatre, where they won two weeks in a row. Some time after this, he was introduced to Cam'ron through a cousin; in 1998, he became a member of the group, The Diplomats, whose members include Cam'ron, Jim Jones, 40 Cal, J.R Writer, Hell Rell, Jha Jha, S.A.S, and Freekey Zeekey. He is now signed as a solo artist to Dipset but unlike the rest of The Diplomats, who are signed to Koch Records, Santana is currently signed to Def Jam. He was voted #2 in the VIBE Vixen top 50 sexiest rappers behind T.I. at #1. His first album, From Me To You was released by Roc-a-Fella Records in 2003 featuring the singles "Dipset (Santana's Town)" and "Down". It was considered a commerical failure when compared to the sucess of Cam'ron's Come Home With Me and The Diplomats' Diplomatic Immunity. In his latest work, his second album, What The Game's Been Missing!, features the singles "There It Go! (The Whistle Song)", and "Oh Yes" as he continues his unique flow. He was featured in Chris Brown's #1 hit "Run It!" and in the remix of Mariah Carey's # 1 single "Don't Forget About Us". Santana also had the summer hit "Mic Check" which also is on "What The Game's Been Missing!" 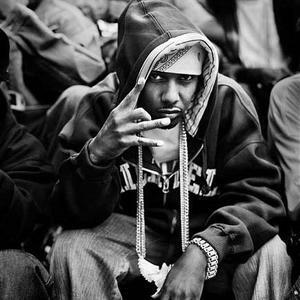 Juelz is best known for his ability to flow without any specific rhyme scheme.